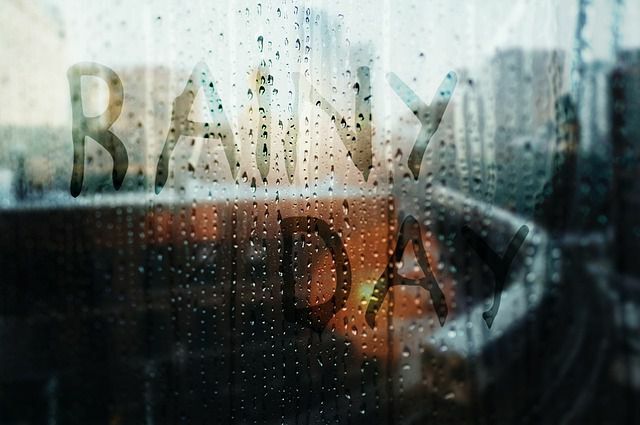 One thing about a rainy day is that I usually do not want to get out of bed. I hear the rain drops falling and it is as if they are playing a lullaby that increases my fatigue. But I have learned to raise above the rain. Oh do not get it twisted and think this is something that is easy to do. It certainly is not! Raising above the rain came as I was recovering from breast cancer. It was what I had to do in order to get back to where I was physically before the surgery. I remember dragging myself out of bed, getting dressed, hitting the treadmill and the weights. It was really hard. I had days when I felt as though I would never make any progress. Day after day I refused to give up even though I felt as though it was of no use. I still remember lifting those tiny two pound weights, crying inside. I could not believe what cancer had reduced me to. It would be six months before I was ready to increase the weights I was lifting to a whopping five pounds. That was one of my biggest milestones. That day I felt as though I could overcome just about anything. I never told anyone about this until now. I figured that most people would not have understood my personal battle. From then on, I was like the postman. Nothing was going to keep me down. I refused to allow the weather conditions to hinder my progress. I found ways around the depressing effects that rain.sleet and snow have over my mood. Even if the kids did not have school, I got up and I got out of that house. It was something I had to do for myself. To this day, I still work out whenever I can. And I do not permit the weather determine whether or not I can get a workout. I have applied this mentality to every aspect of my life. And you can too. Raise above the Rain and find your way to what it is that should and can be achieved today and everyday ! !